Five years ago, the Order admitted Confrere Roberto Ortiz as a member due to his wish to work hard within the Order so as to be able to concretely assist its growth in his home country in Brazil. 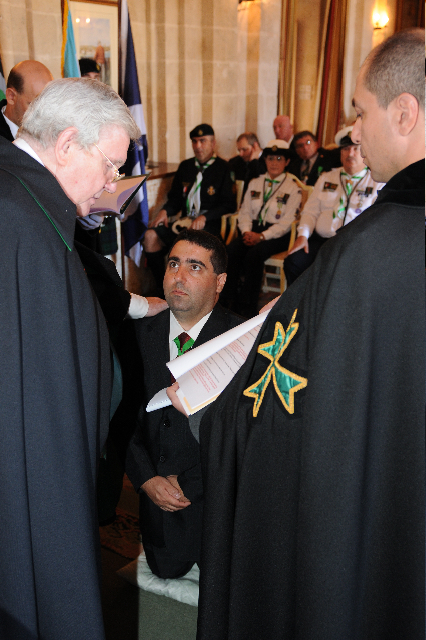 Based in Sao Paolo, Confrere Roberto Ortiz has worked diligently and extensively in order to see the culmination – or rather, the confirmation – of his work bearing fruit and thus being the first consecrated Grand Prior of the new Grand Priory of Brazil which was duly registered within the United Grand Priories on the 2nd of October 2010. 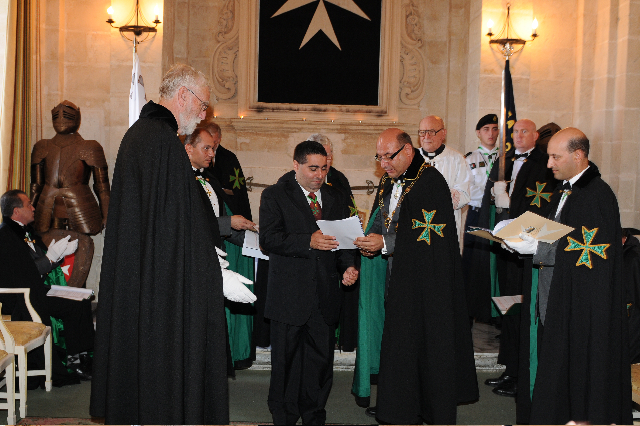 The consecration of the Grand Priory of Brazil was effected by the Supreme Grand Prior of the Order, H.E. Richard Comyns of Ludston GCLJ GCMLJ, assisted by the Grand Chancellor, Chev. Massimo Ellul GCLJ GCMLJ and the Grand Secretary, Chev. Robin Slack KLJ KMLJ. It was indeed a moving ceremony and the members of the Order present witnessed the zeal and determination with which the newly elected Grand Prior of Brazil has planned the next twenty four months of his fledgling Grand Priory. 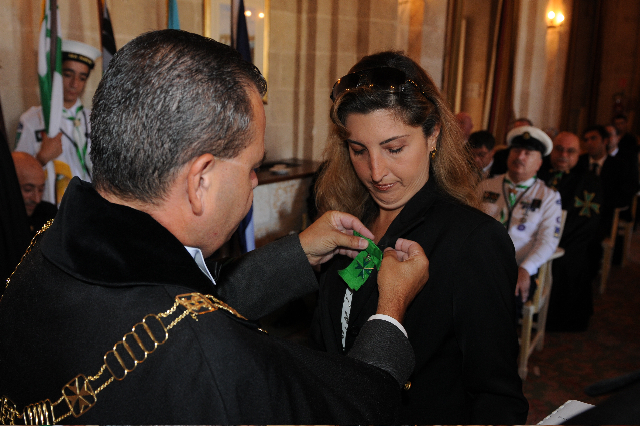 Ably assisted by the other officers of the Grand Priory, including Confrere Alexander Maya CLJ, and Confrere Marcos Ferroso MLJ, this investiture also saw the Grand Prior’s Lady wife, Consoeur Daniella Cristina Prisco Ortiz MLJ being admitted into the Order. On behalf of the Supreme Grand Priory, we congratulate the newly formed Grand Priory and thank them not only for their superb work in Brazil but also for the constant assistance and liaison that they execute with regards to the other jurisdictions of the Order in South America. In a commemorative speech on the occasion of the consecration of the Grand Priory of Brazil, the Supreme Grand Prior reiterated the above thoughts and also appointed Confrere Roberto Ortiz CLJ OMLJ as the Order’s liaison officer via the Grand Chancery of the United Grand Priories in South America.